The focus of Nairobi Biodiversity Parks is on small seasonal wetlands in the Nairobi area. It started in 2000 with a Rufford Small Grant from the Whitley Award Scheme to Fleur Ng’weno. 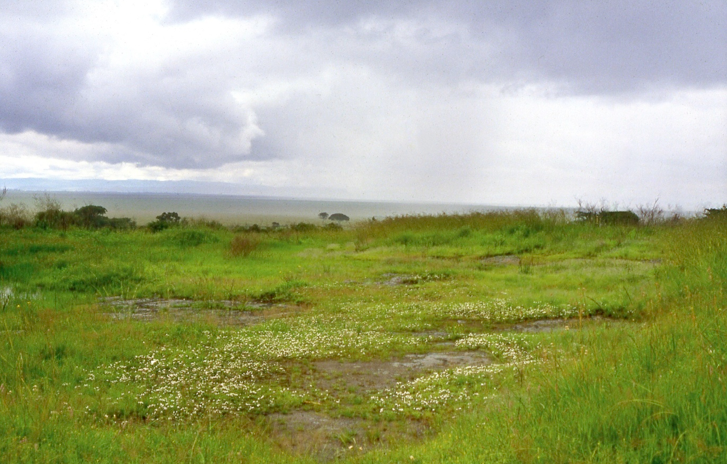 The original site that inspired the project has been lost to developers, and the project now concentrates on documenting and promoting the seasonal wetlands on the northern edge of Nairobi National Park. Presentations about small seasonal wetlands since 2000, including to the Society of Wetland Scientists conference in Sacramento, California, USA in 2007. Removal of Brachystelma lineare plants from roadbed of Southern Bypass road, for preservation ex-situ in the Millennium Seed Bank of the National Museums of Kenya; and helping to move several Brachystelma lineare plants from part of Uhuru Gardens National Monument taken by the Bypass, and replanting on another site in Uhuru Gardens. Surveys of plants and invertebrates in seasonal wetlands in Nairobi National Park during the rainy seasons from 2007 to 2015. A chapter on Seasonal Wetlands published in “Nairobi National Park” a guide produced by Friends of Nairobi National Park in 2012. Support to other green spaces in the form of bird lists, including “Common Birds of the Nairobi National Museum grounds”. The little funds remaining in the project are earmarked for the production and publication of a booklet on seasonal wetlands – a unique and little-known habitat – in Nairobi National Park.